You can manage weeds in many ways such as through careful planning and planting and by using mulches. Weeds can be beneficial, attracting pollinators, and improving the soil (i.e. adding nutrients when composted). 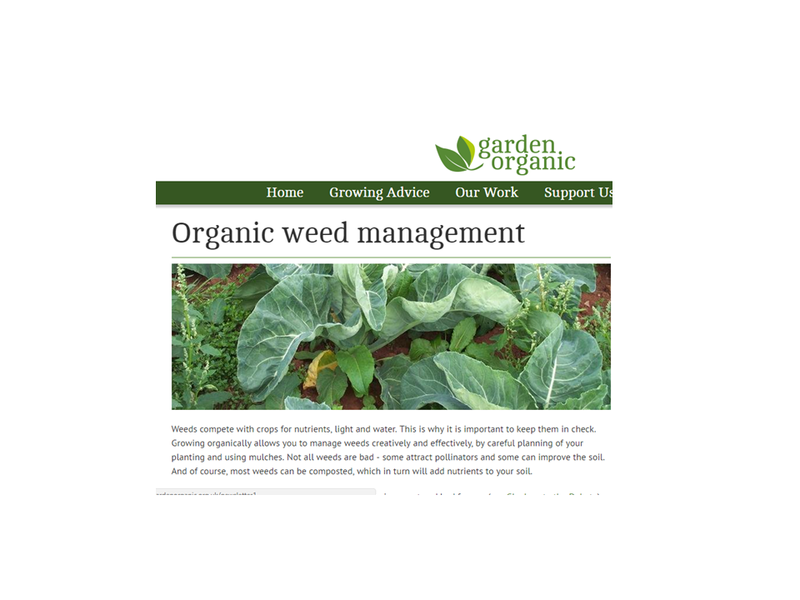 This webpage provides links to a huge wealth of information regarding weed management. Whilst aimed at organic farmers and growers, it has a wider relevance. It outlines ways you can remove weeds without using toxic chemicals, and why glyphosate should be avoided. It provides links to: detailed information about the occurrence, biology, persistence, and organic management of more than 100 individual weeds; descriptions of cultural control methods (looking at how practices such as crop rotation and tillage can control weeds); direct control methods (mulching or mechanical removal of weeds); and crop weeding strategies (focusing on managing specific crops, based on research results and practical experience of organic farmers). Better understand the biology of weeds on your farm so you can tailor your attack!